When it comes to coffee, some people just like perfection. Most would agree that the best cup of coffee comes from home, after roasting your own green coffee beans. But not everybody has the time or money to have complete control over their coffee's flavor. Roasting via stovetop or oven produces mélange (not quite perfection), and home roasters can be pricey. Then how do you get that perfect caffeinated beverage at home? 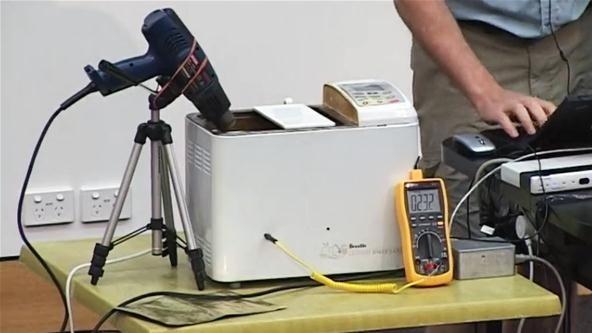 If you're a Linux user and just happen to have a bread machine laying around, you can make your very own Linux-powered Corretto Roaster. Now you can use your favorite distro to roast your own beans before consuming your java. 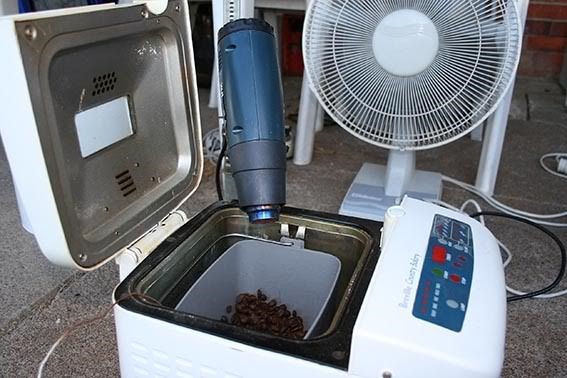 The homemade Corretto Roaster was designed by, you guessed it, someone named Corretto, and consists of a bread maker and heat gun to roast the beans, and a fan to blow the smoke. To tell when it was done roasting, you'd use the cracking sound to judge. But two coffee lovers had a better idea. Linux. Andrew Tridgell and Paul Mackerras added to the Corretto roaster a thermocouple to help control the temperature. 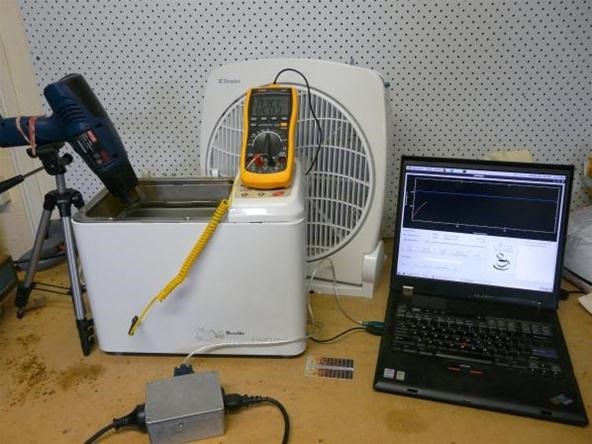 It's drilled directly into the bread machine to record the temperature, and connected to a digital multimeter, which is hooked up via USB to the Linux computer where it's then charted. Also, a custom PIC-based power control circuit controls the heat guns output, which is hooked up via serial port. 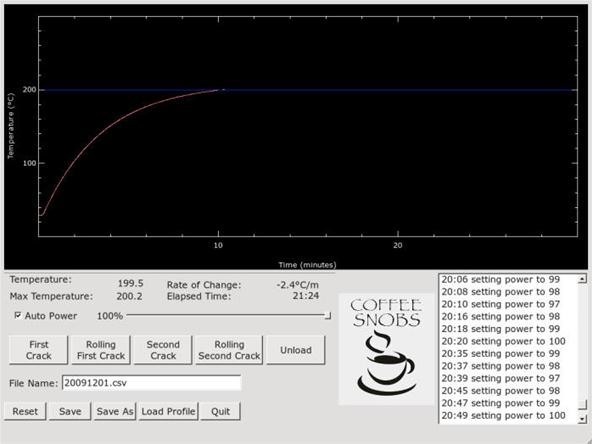 To graph the time, temperature, and which crack level the beans are in, a Python application was built called pyRoast. The code for pyRoast can be found here. If you want to see the full explanation of how to build a Linux-powered Corretto coffee roaster, check out the video below. Here are the slides that went with the video above, if you need them. More info can be found over at CoffeeSnobs. Yes... very unnecessarily complicated... in a good way!